Keep it calm, cool and collected with this gorgeous Slate pattern. 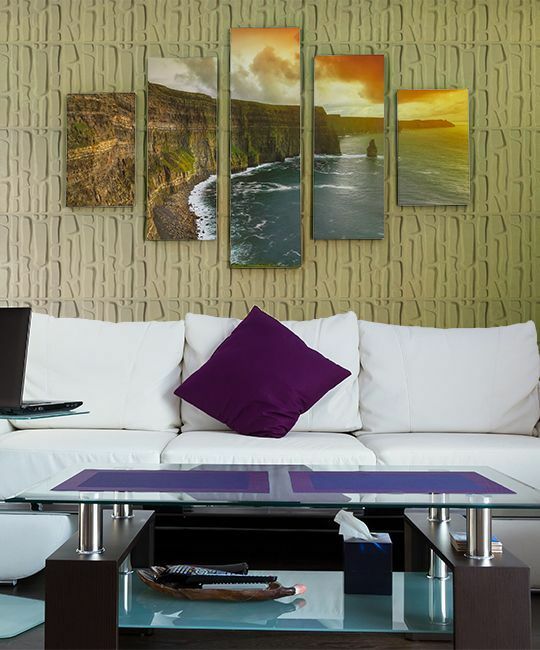 A homage to modern design that plays well at home or in the office, the Slate design sets the bar at whole new level. The coyly uneven edges of each “rock” in the design give a natural feel, juxtaposed with the uniformity of pattern, creating a compelling and exquisite masterpiece. 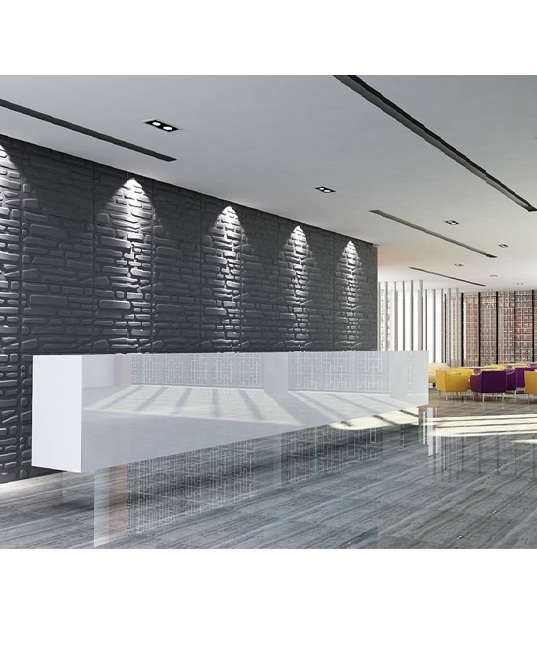 Take your boardroom – or bedroom – to the next level by adding a high-end designer touch with Slate. Transform Your Living Space ! 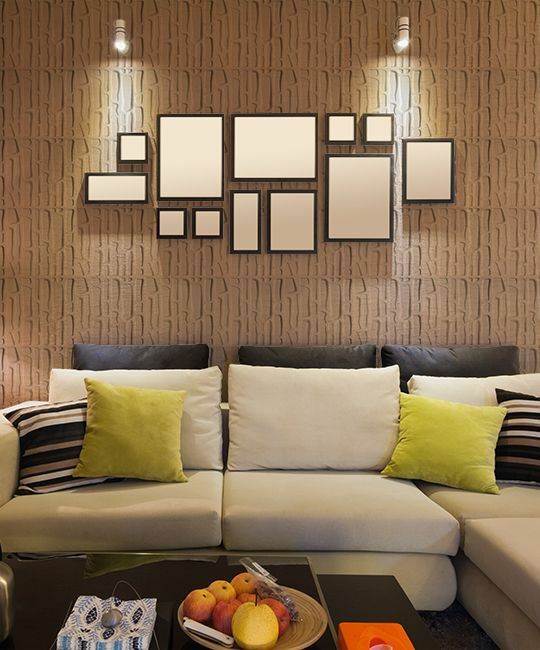 The walls of our homes are usually the largest minimally-used space in the house. Even though they are right at eye level, we don't do much with them beyond paint and pictures. Giving it a new look will totally transform your living space! 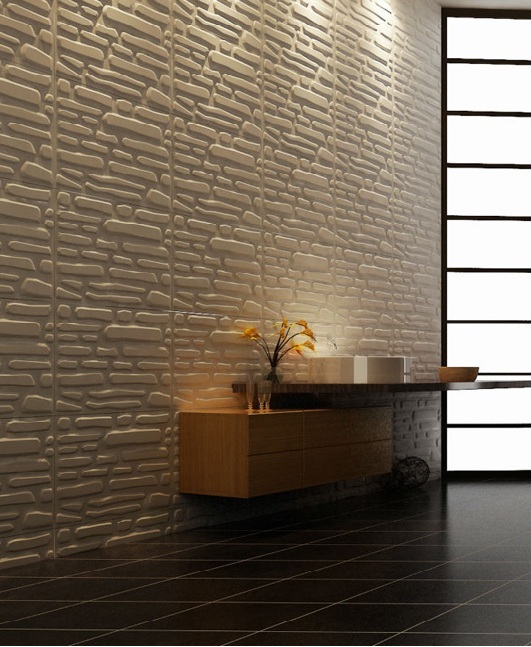 Wall Dimension 3D panel is an affordable and simple way to start the transformation. 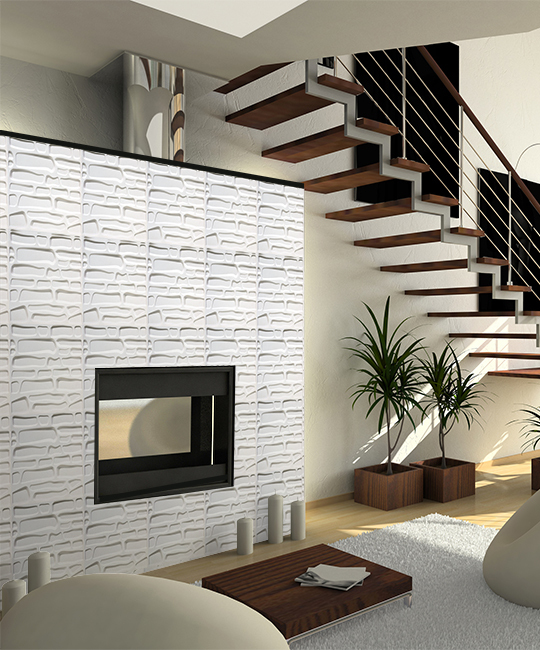 The embossed 3D panels create a modern and appealing ambiance, making your living space warm, welcoming and ultra modern. Your friends will be impressed! 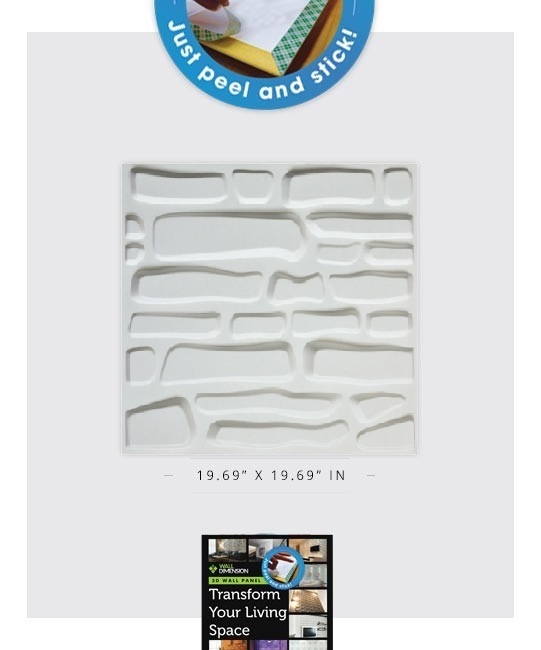 Each 3D wall panel comes with adhesive pre-applied on the back. Simply peel off the protective cover and glue it to the wall. It is so simple you can finish the whole living room in one afternoon and surprise your love one at dinner time. 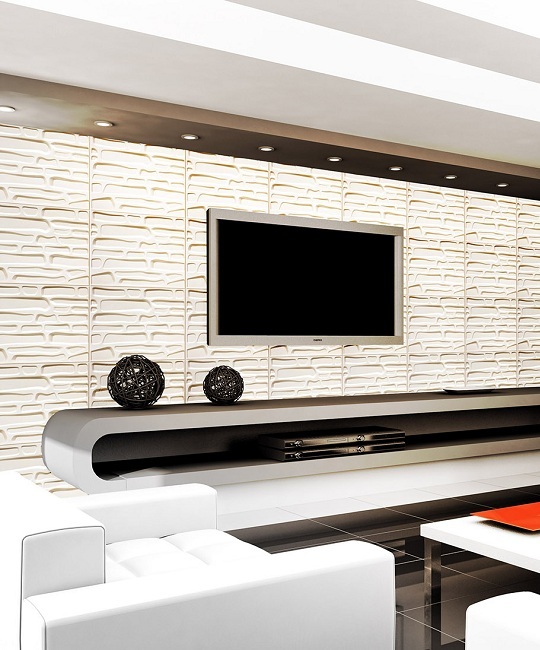 Unlike the first generation 3D Wall Panel that is made of plant fiber (paper) material that tends to soften over time, Wall Dimension 3D panel is made of lightweight, flexible, durable plastic material that will ensure your enjoyment for many years to come. Each panel is 19.69" x 19.69"
Price is great and design is even better. Peel & stick makes my life a lot easier. Check a few designs and I chose the slate design. Never though it would transform my living room into a conversation piece. Got 6 boxes of this design for my family room. Peel&stick makes the installation a breeze. The panel is very well made and fits really well. Overall I have a great experience with this product. Decorated my room with these design and ended up decorating my living room aswell. Great product to refine you living space. 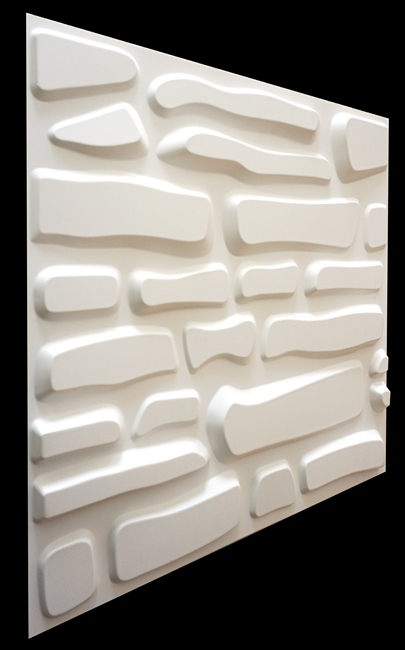 Each 3D panel is 19.69" x 19.69"
Commercial applications in restaurants, doctor's office, clothing stores, and other retail settings are also a great way to appeal to customers.